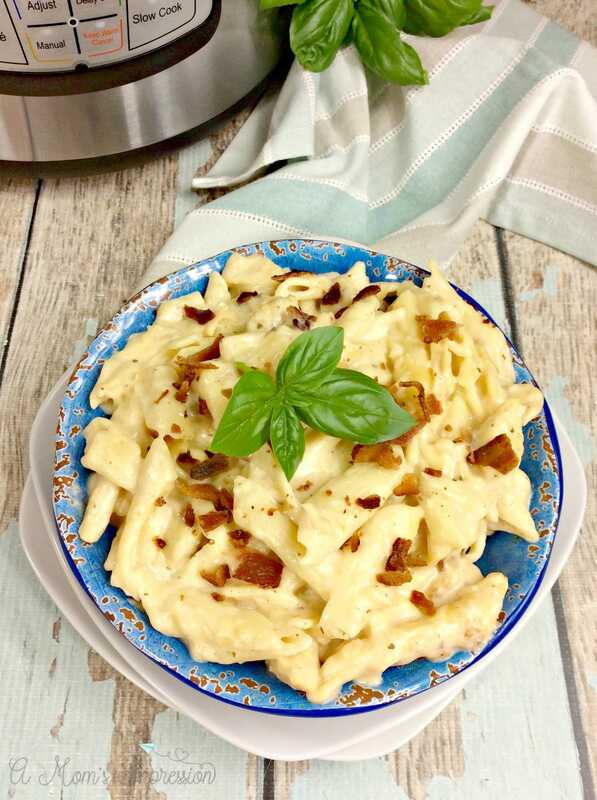 Instant Pot Crack Chicken Pasta can be made in about 15 minutes in your pressure cooker. 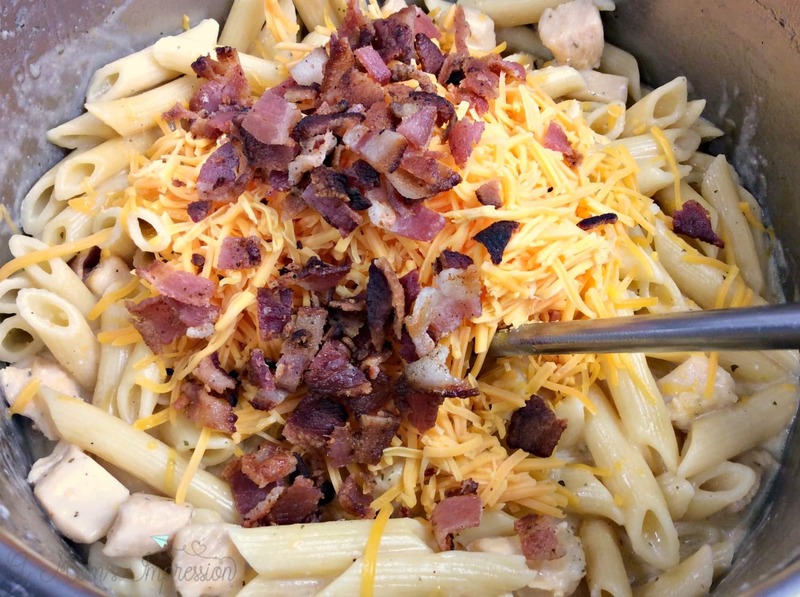 Filled with cheese, bacon, chicken and a hint of ranch it will become a family favorite. My family and I eat a lot of chicken. Over the years we have tried chicken in several different recipes and my Instant Pot Crack Chicken sandwiches are my most popular recipe on our site. Since then I have made a Crack Chicken Noodle Soup and it was also a big hit with the kids. 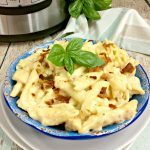 So why not try an Instant Pot Crack Chicken Pasta! 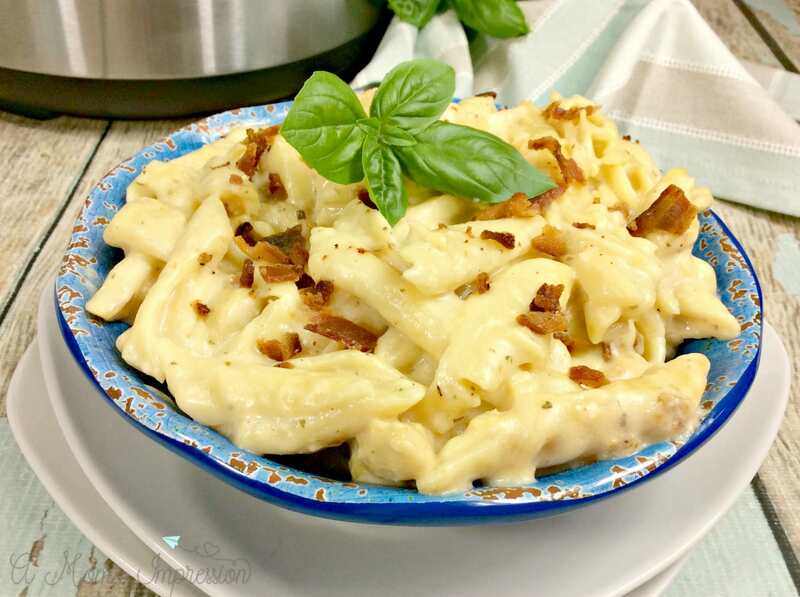 Crack Chicken Pasta is filled with all of the yummy ingredients you expect in a crack chicken recipe, chicken, ranch mix, cheddar, and bacon. It is the perfect kid-friendly Instant Pot meal. 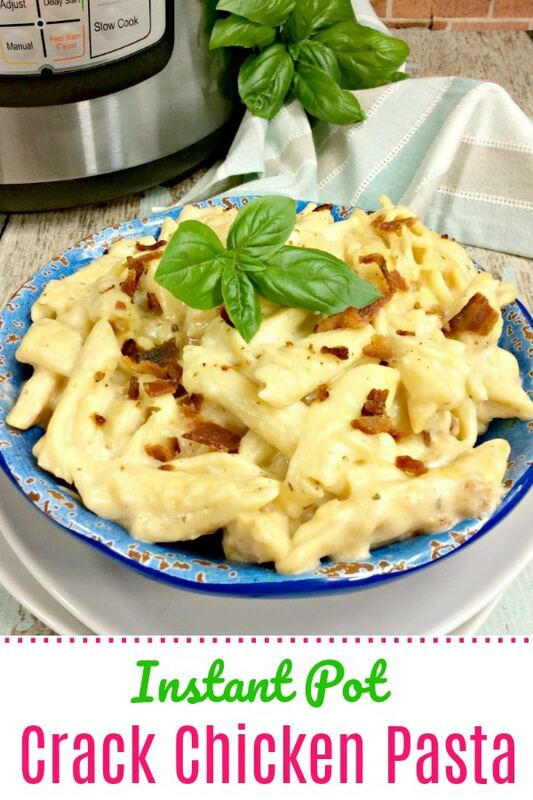 Pressure Cooker Pasta is so easy to make and is pretty economical so we are constantly finding new Instant Pot pasta recipes to try. Some of our favorites are White Chicken Spaghetti and our homemade copycat hamburger helper. I know whenever I make one of these pastas, the kids are going to be happy! Turn on the “Sauté” setting on the Instant Pot. Once preheated add oil, chicken, and ranch packet, and stir to completely coat the chicken. Cook chicken for 2–3 minutes. Scrape any bits off the bottom of your pot. Add cream cheese, pasta, broth, and water. Be sure to push your dry pasta down into the liquid. Close lid and lock the lid, select “Manual” or “Pressure Cook” mode and cook on high pressure for 4 minutes time. Once your pressure cooker is finished cooking, quick release the pressure. After the steam has gone away stir in cheddar cheese and cooked bacon until combined. 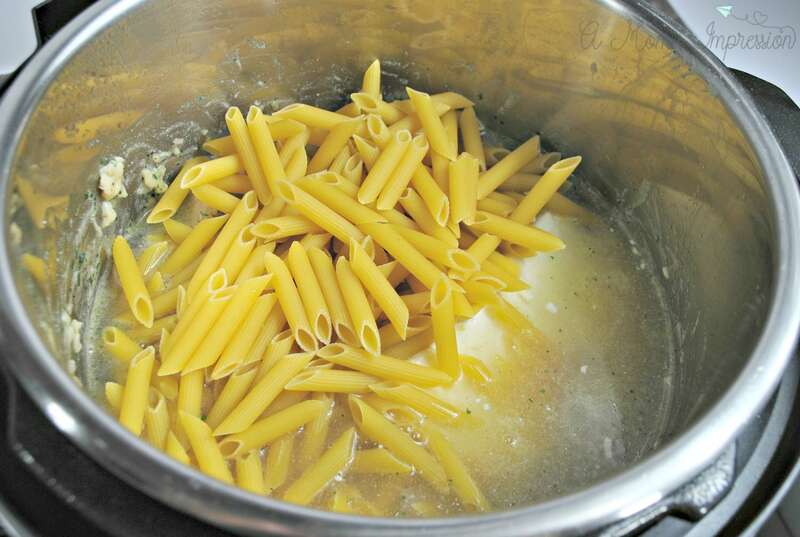 Allow the pasta to sit for a few minutes so that the sauce can thicken before enjoying! Close lid and lock the lid, select “Manual” or "Pressure Cook" mode and cook on high pressure for 4 minutes time. Once your pressure cooker is finished cooking, quick release the pressure. After steam has gone away stir in cheddar cheese and cooked bacon until combined.